Recent attention has been given to the topic of applying continuous flow technologies to the synthesis of pharmaceutically active compounds during development and for providing material for early phase toxilogical studies. Frederic Buono discusses how Boehringer Ingelheim has applied flow technology and continuous processing over the past six years. Several examples presented demonstrate the impact on development projects. 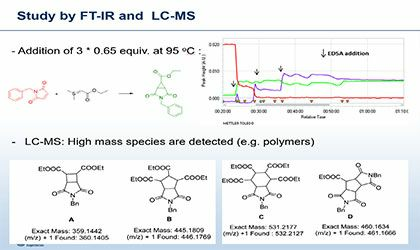 Material costs and E-factor process metrics are discussed for a Curtius rearrangement that was converted from a batch process to several types of flow processes. 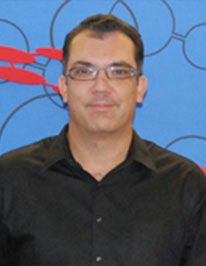 Intermediates and API development using "flow step"
Frederic Buono has 13 years of experience in pharmaceutical industry. In his current role as a Senior Principal Scientist at Boehringer Ingelheim, he is leading, developing and implementing continuous flow technology for several projects from gram to multi-kilogram scale process, by using in situ monitoring techniques, kinetic studies and modeling for process optimization. Dr. Buono is originally from France, where he earned his PhD in organic chemistry and chemical engineering degree from “Ecole Centrale de Marseille”. He then moved to England to do his postdoctoral under supervision of Pr. D. Blackmond, where he works in the area of physical organic chemistry and where he developed several kinetic models of mechanism of organic reactions. Dr. Buono started his pharmaceutical career in the Process Group of Bristol-Myers Squibb. View Dr. Buono's presentation on Breaking Barriers to Manufacturing Innovation now.